20 years on from their launch, Ashdown are back with a whole host of brand new and special edition products to mark the occasion. Used by the likes of Paul Mccartney and John Entwistle, Ashdown are known for their beautiful design and enormous attention to detail when it comes to bass tone. 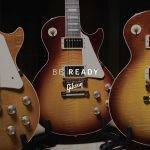 Here’s a quick run down of what to expect from their new 2017 models and updates. Ashdown are back with a brand new limited edition version of their ABM amplifiers. To celebrate 20 years of the ABN they have designed a special ABM-EVO-IV head and cabinet combination. Notorious car enthusiasts, as such the 20th Anniversary Ltd Edition model takes on the design of a luxury car interior, with custom diamond vinyl covering reminiscent of the interior of a Bentley. 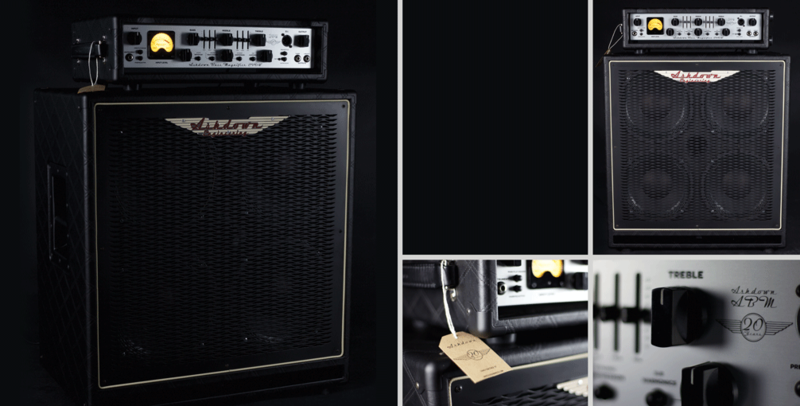 The ABM-600 EVO-IV features a 600-watt power stage with a variable valve driven preamp section, a 12AX7 tube, 9-band EQ, built in compression and a sub harmonic generator. Also back with a 20th anniversary edition is the CTM-30-Tweed Cab and Head. The special edition comes seamlessly wrapped in beautiful vintage Tweed covering. 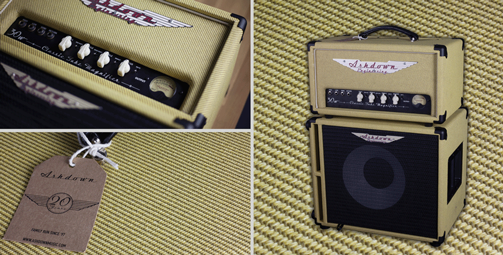 The idea for for the tweed covering came after they created a special edition CTM-30 for bass legend, Michael Rhodes. The CTM-30 head features hi and low inputs for use with active or passive basses, Bass/Middle/Treble EQ, Mid Shift, Bass Shift and Bright switching and ECC83 and ECC82 preamp tubes. 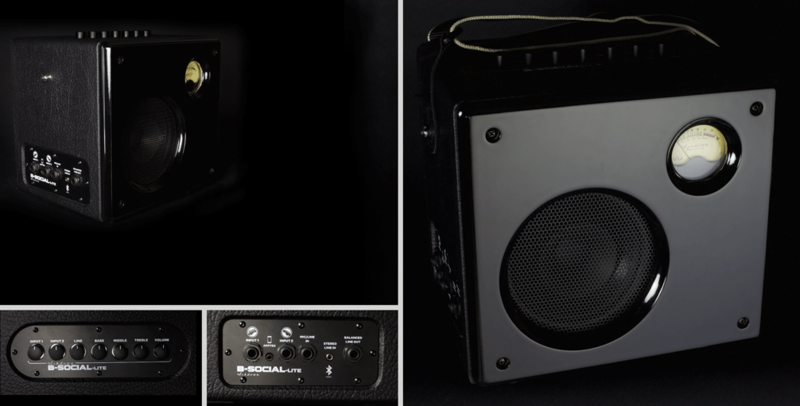 Ashdown launched their B-Social at Namm 2016, enabling users to incorporate wireless connectivity, USB recording and more. They are now launch the lite edition of the B-Social. 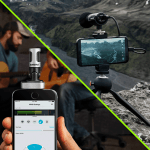 With the new lite edition you can still jam along with a friend using the second instrument input, however the only difference is the lack of wireless connectivity and USB recording. 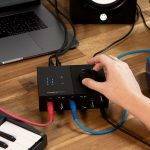 The Bass amp features a responsive 3 band EQ, individually adjustable volumes for each input, a line control to control the volume of your back track and a master volume to change the volume of the entire mix. The Filter pedal features true bypass switching, tweakable output and sensitivity controls, a 12AX7 powered ‘Valve’ distortion (pre or post-Wah) as well as a whole host of other features. Tour Bus Range – Ashdown have also updated their Tour Bus range of amplifiers to now feature premium heavy-duty buffalo Tolex covering with a stylish and distinctive vintage red grill. The amp features a 5 band EQ to not only control bass, middle and treble but also to provide lo-mid and hi-mid control. There is also a headphone socket which allows you to use the amp at times when you’ve got to keep the noise down. The two jack speaker outputs allow you to connect the device to two Ashdown bass cabinets. The amp is finished off with a steel chasis covered with scuff proof paint. With sturdy control pots and a great finish, the Origin is built to last and the five you warranty will make sure that’s the case. The new Ashdown preamp pedal has been designed to help shape, sculpt and optimise bass tone before it hits the powerstage. 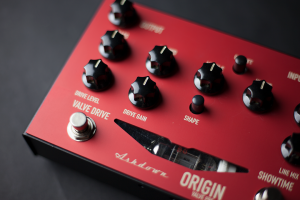 A valve driven foot-switchable pedal, the Origin pedal provides amazing clean and overdriven bass tones. 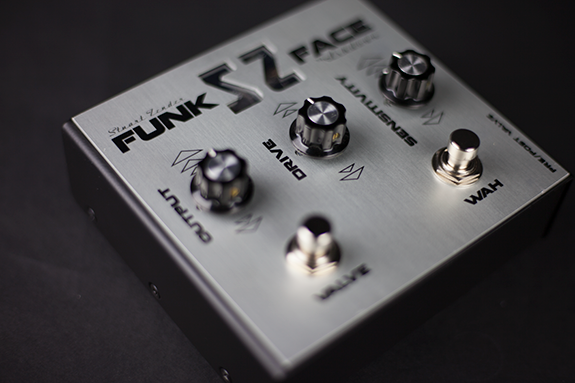 The pedal features the same 5-band EQ found in the Origin Amp, ‘Drive Gain’ control, a 12AX7 powered Valve Drive switch, a ‘showtime’ foot switch (to lift frequencies that really count), a headphone socket for silent practice and a line input which allows you to play along to all of your favourite tracks. 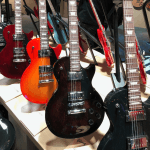 For more NAMM NEWS 2017 keep an eye on the GAK blog, where we’ll be uploading all the latest news and rumours every day! Previous Top 5 Audio Interfaces!